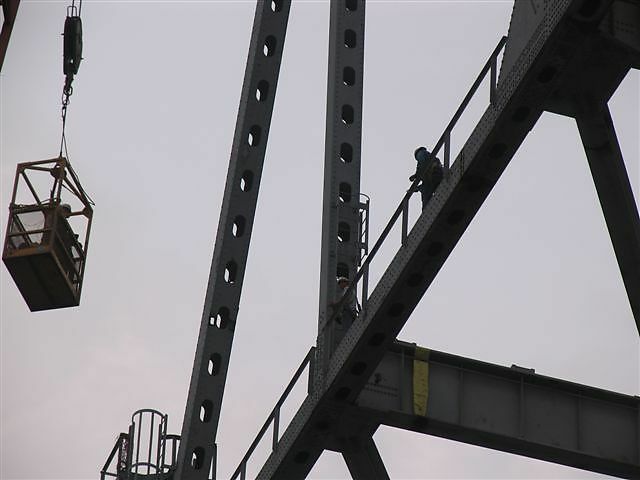 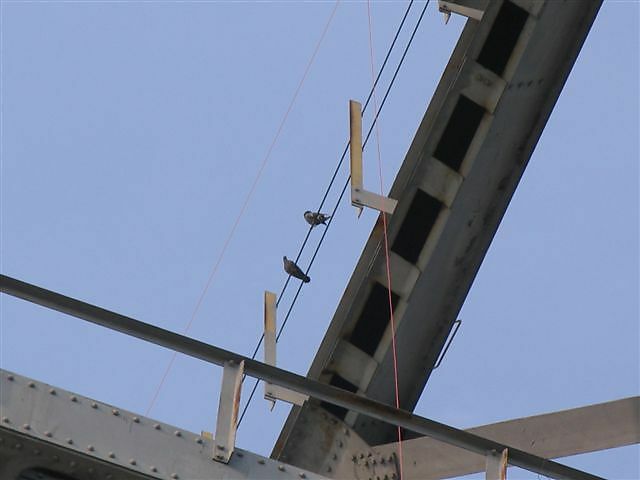 Here you can see the cut through the base of the girder with two of the DD acrobats chillin' a bit. 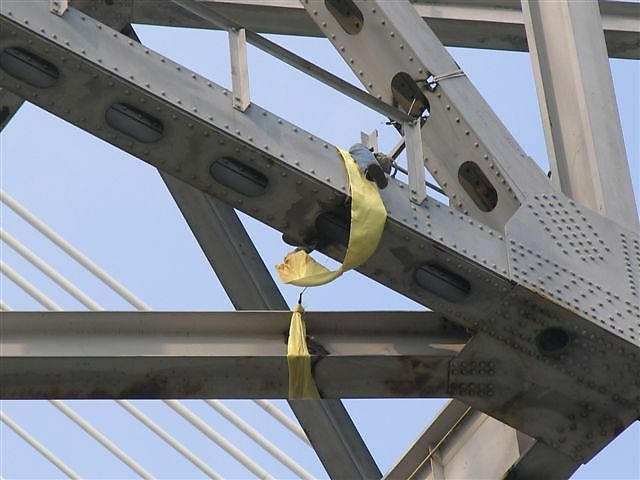 To the right is a piece of conveyor belt - a large rubber band with a steel grid inside. 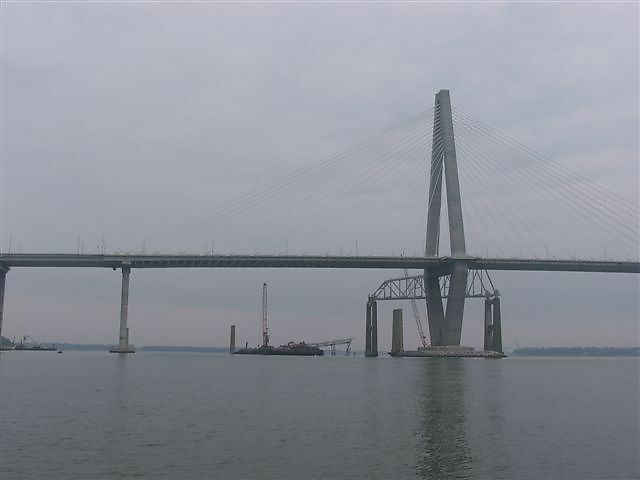 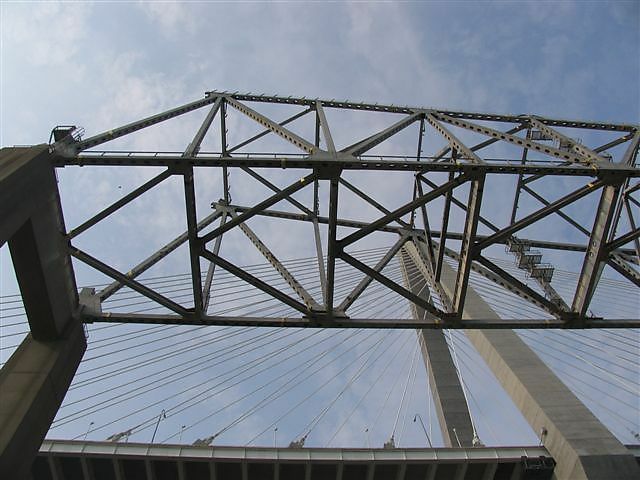 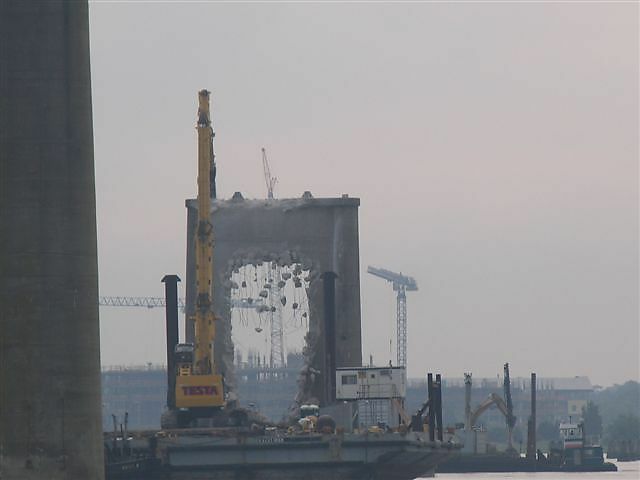 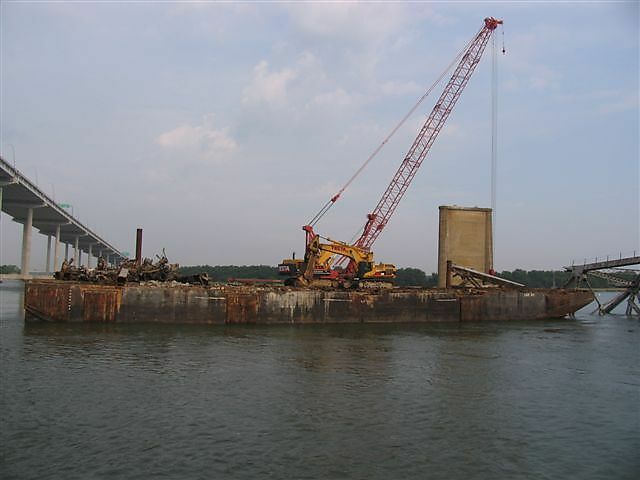 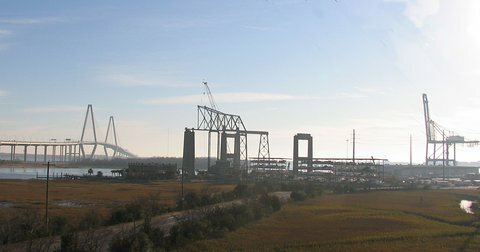 These are places on the Ravenel side of the charges to contain the distribution of debris. 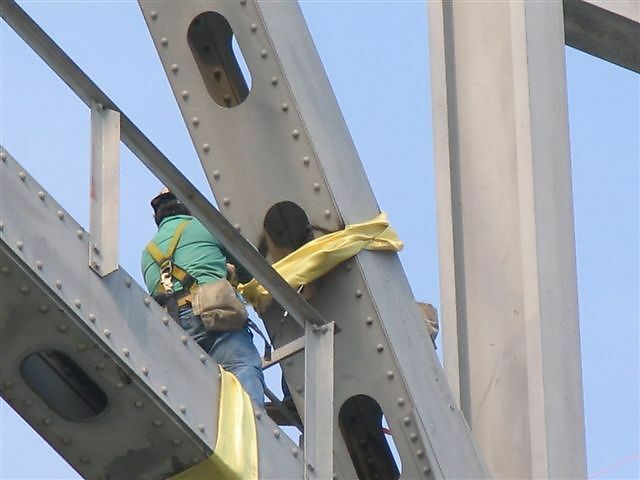 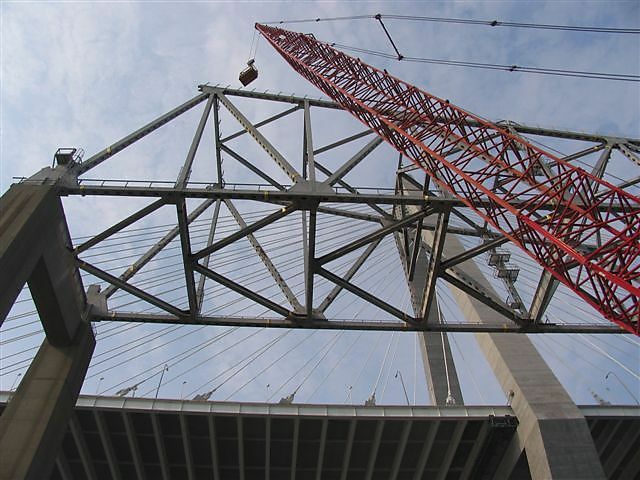 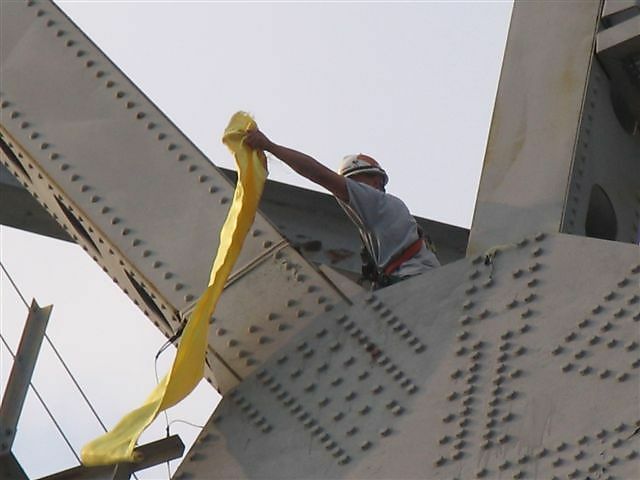 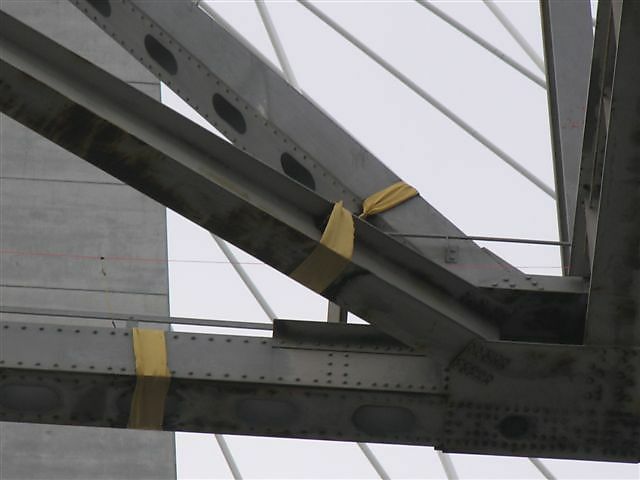 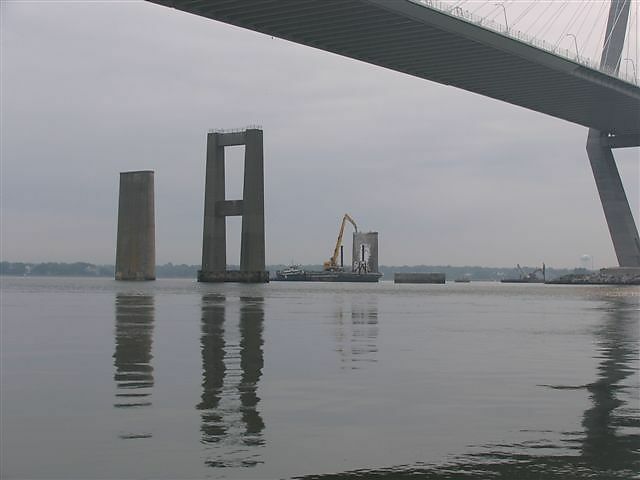 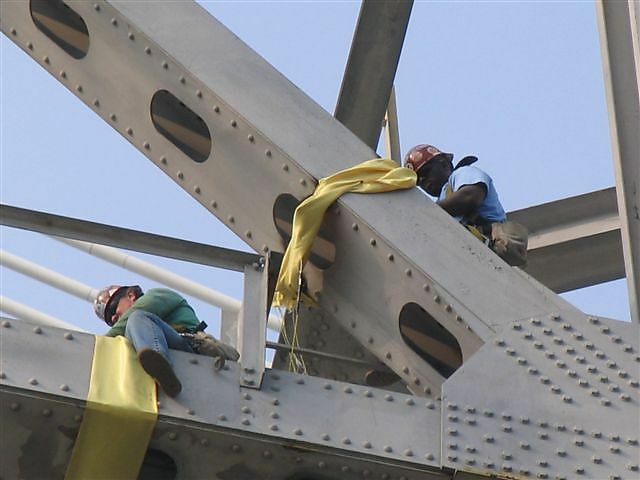 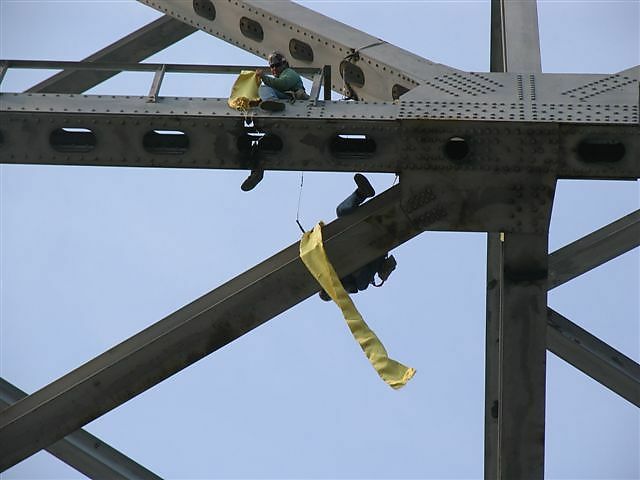 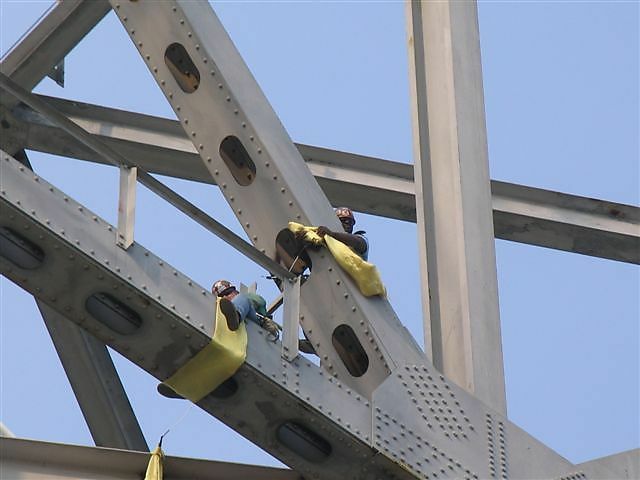 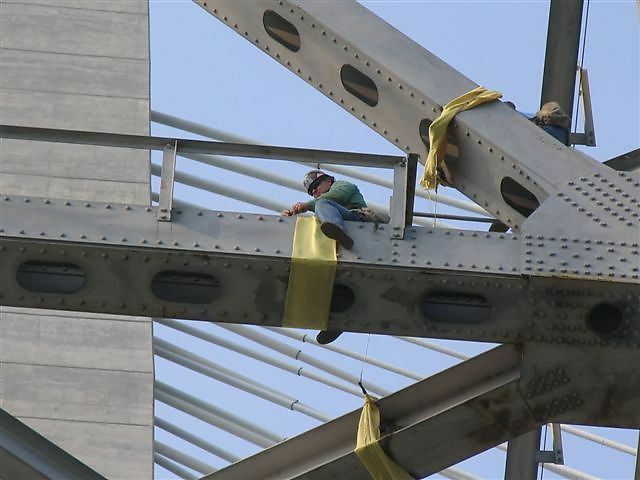 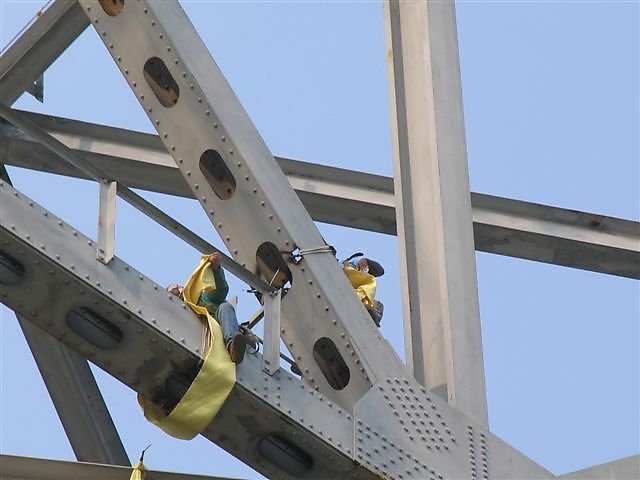 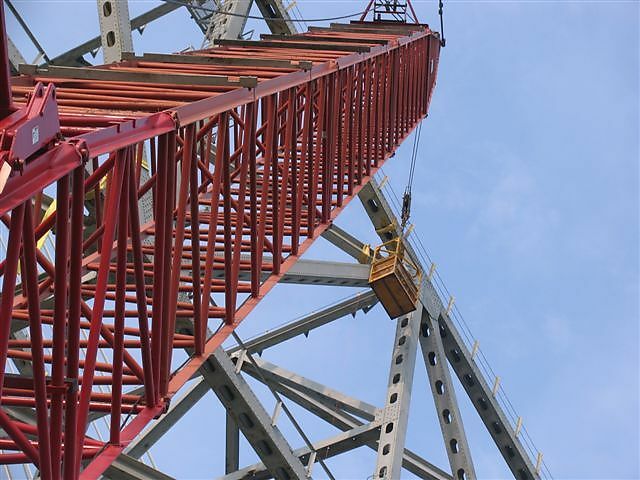 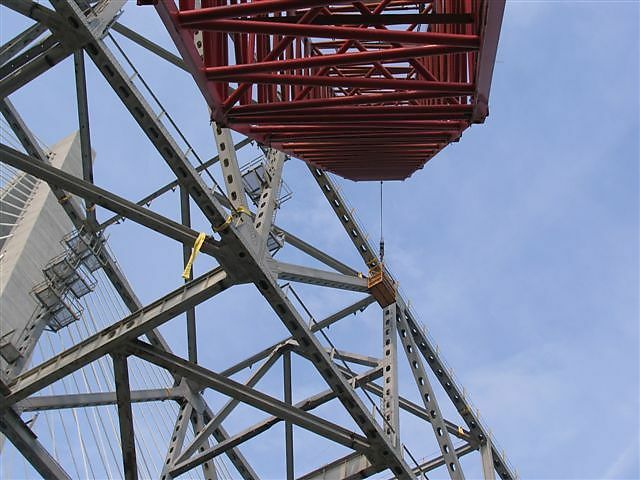 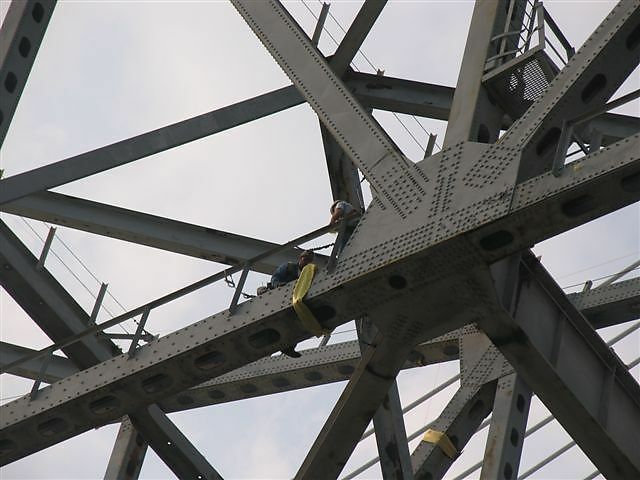 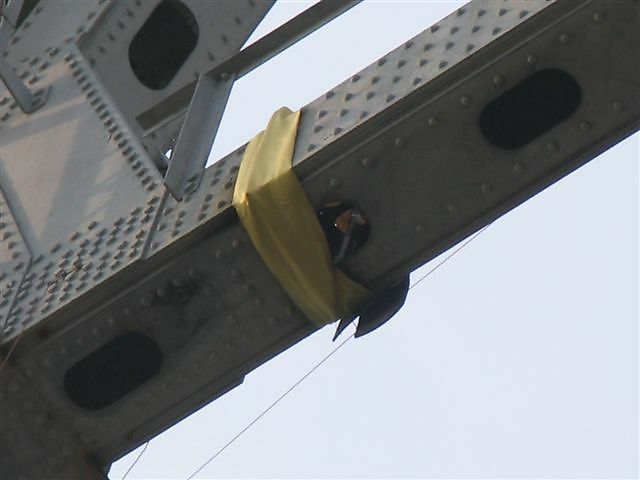 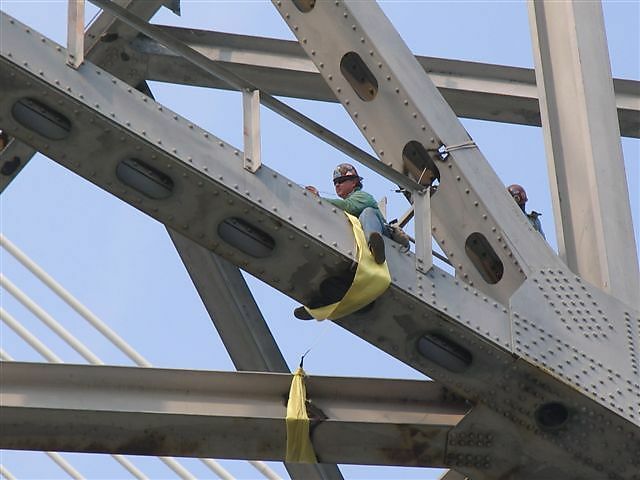 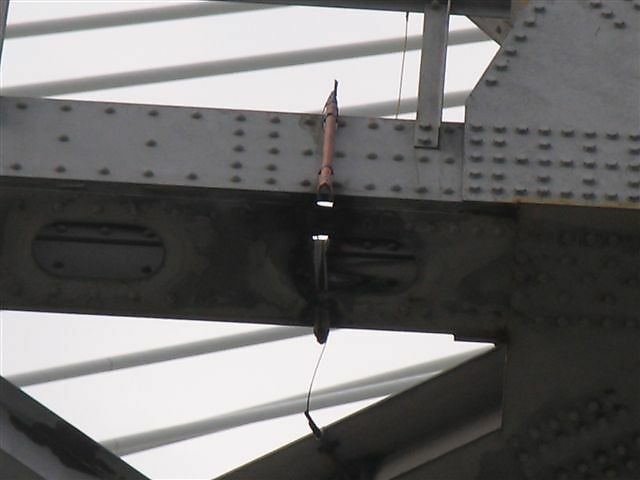 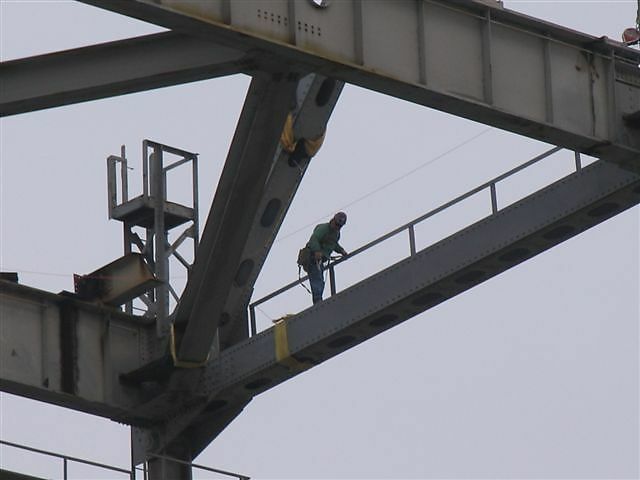 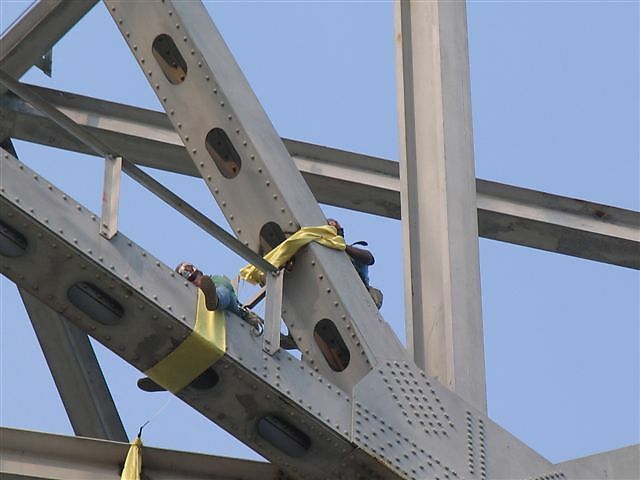 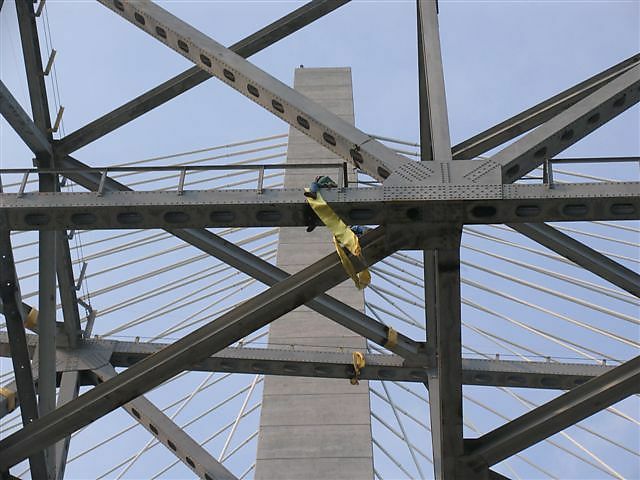 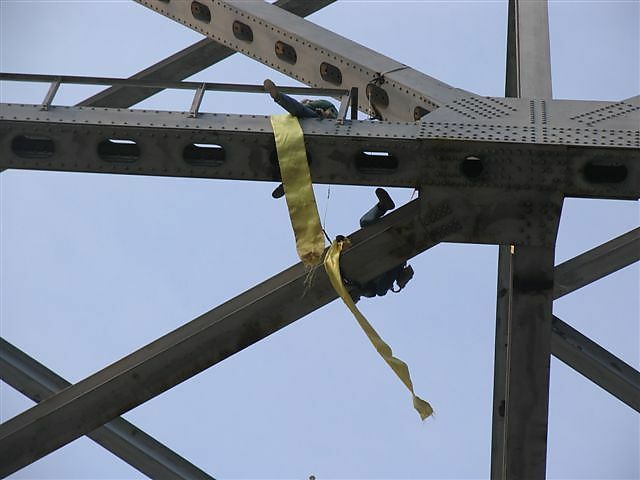 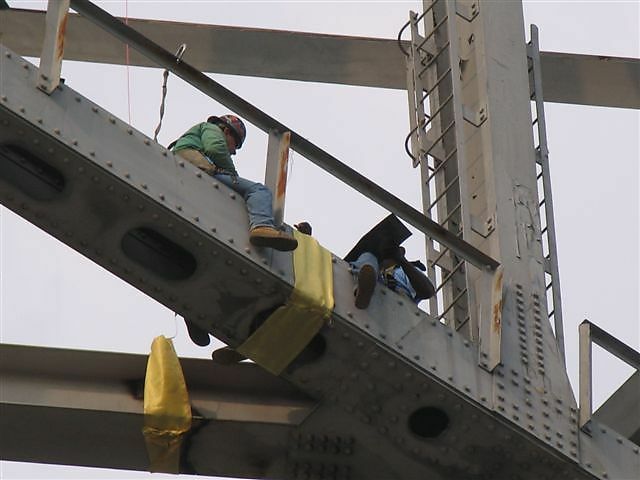 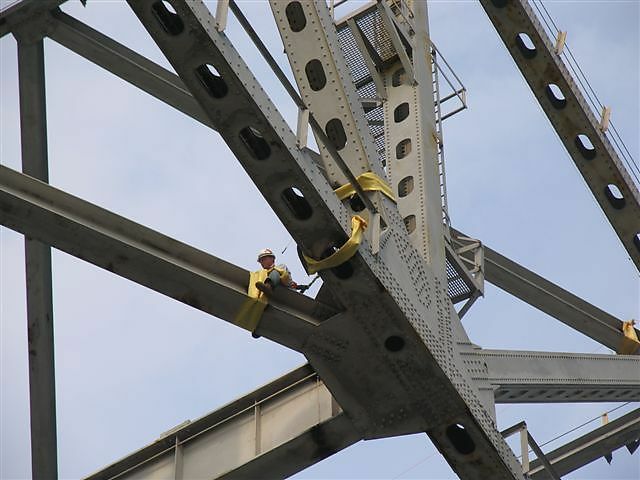 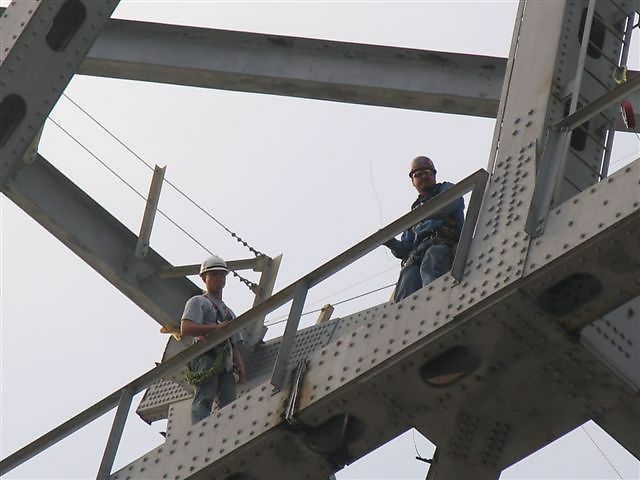 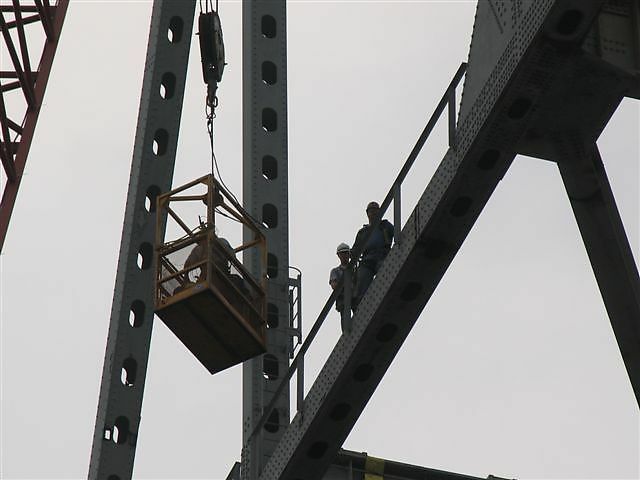 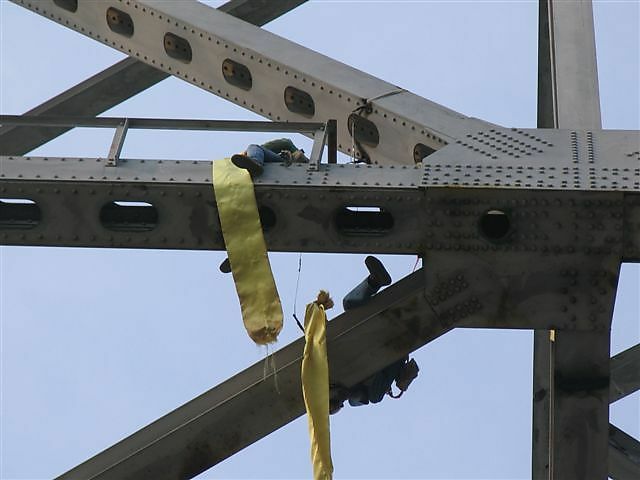 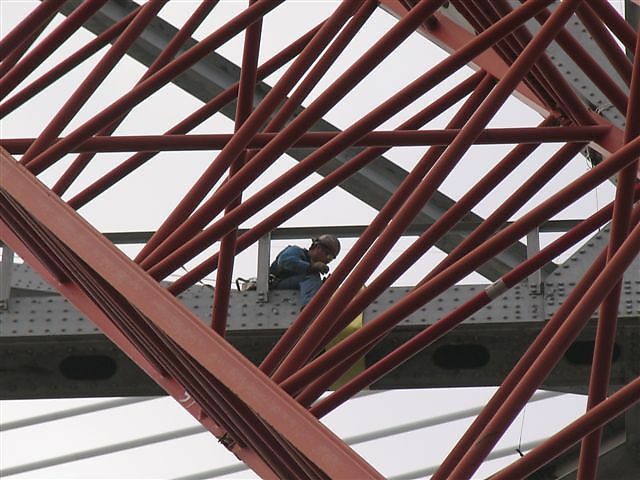 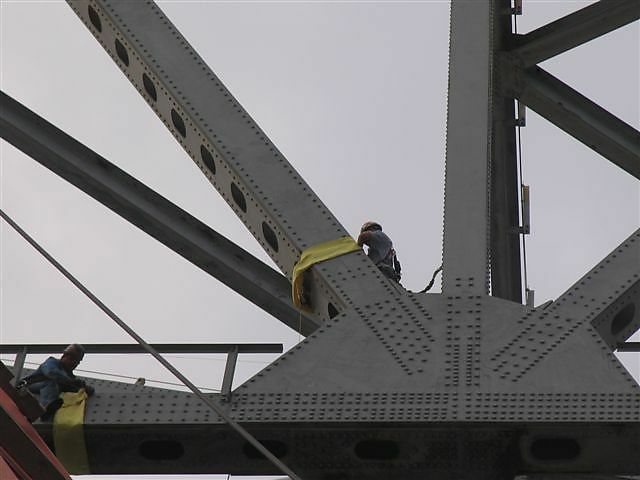 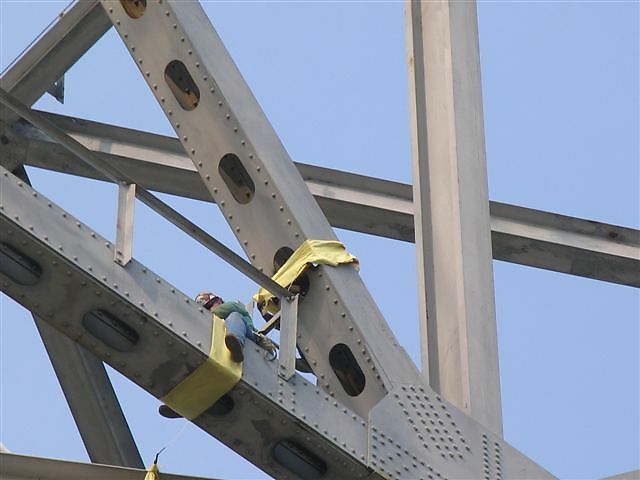 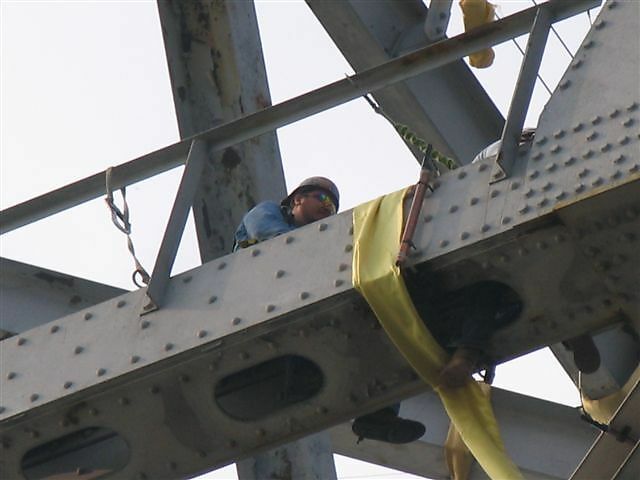 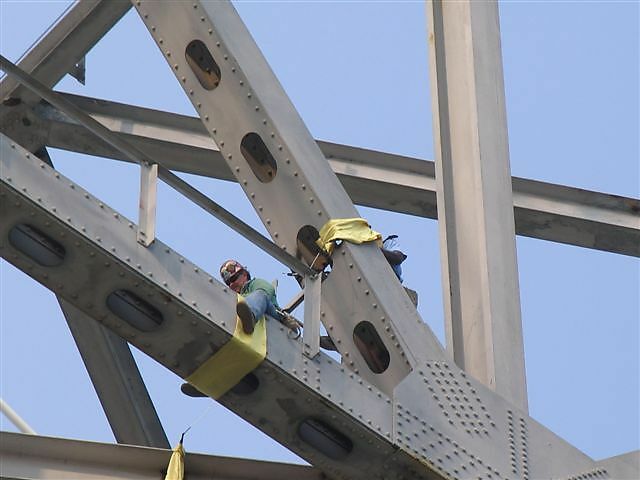 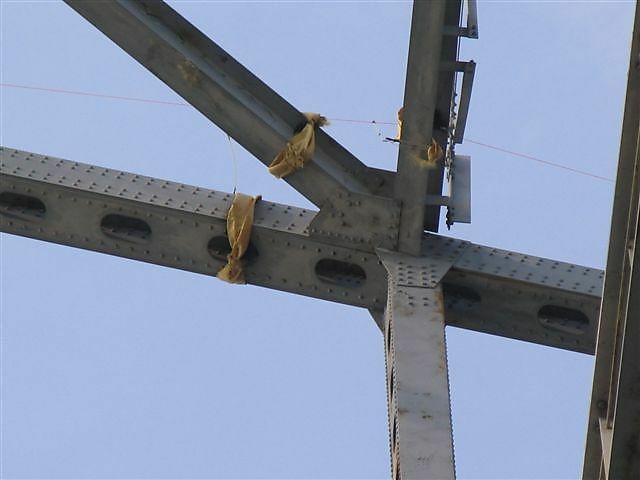 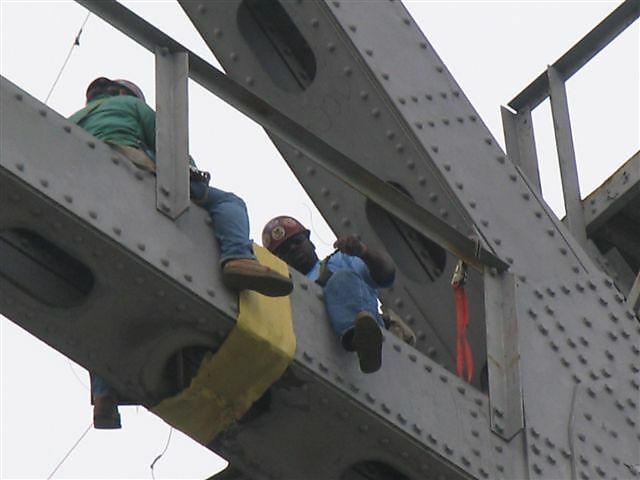 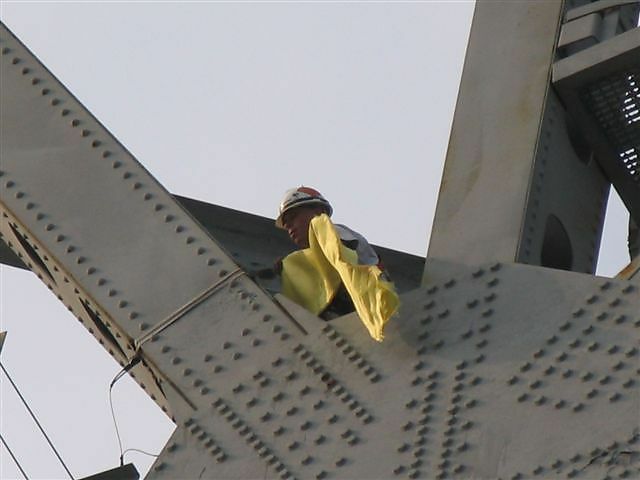 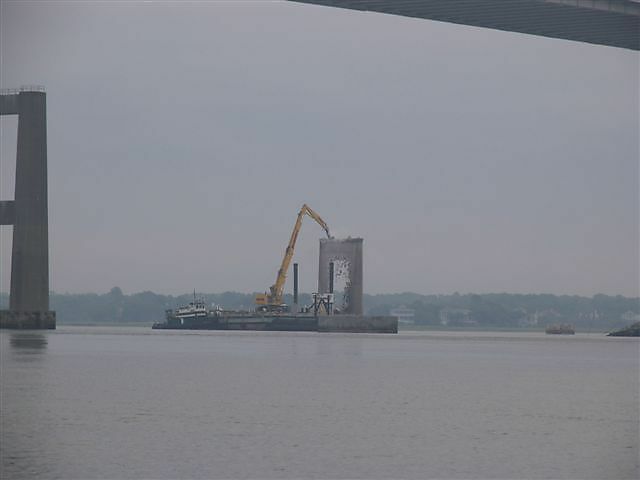 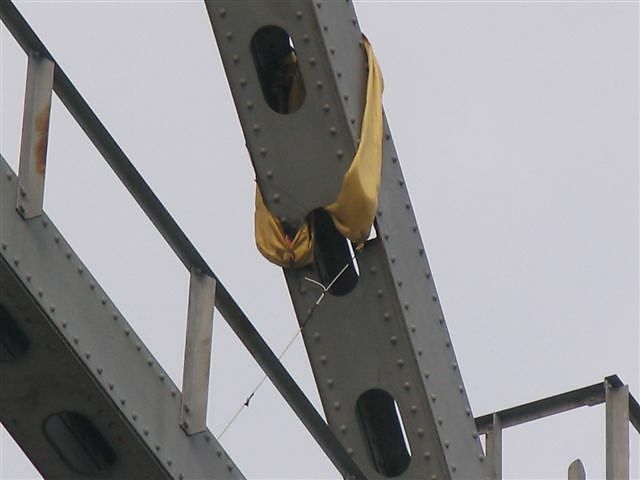 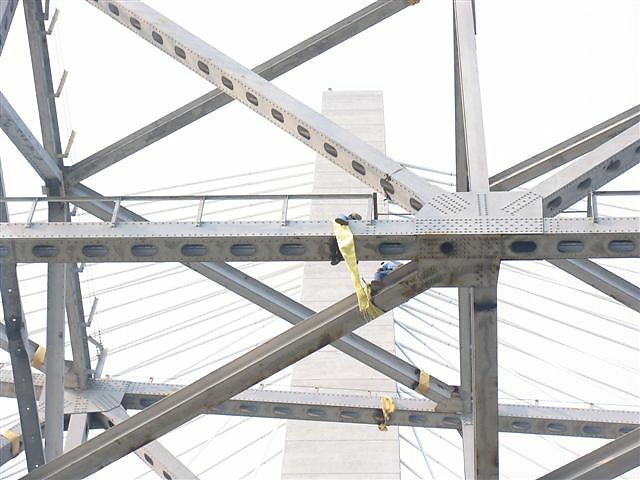 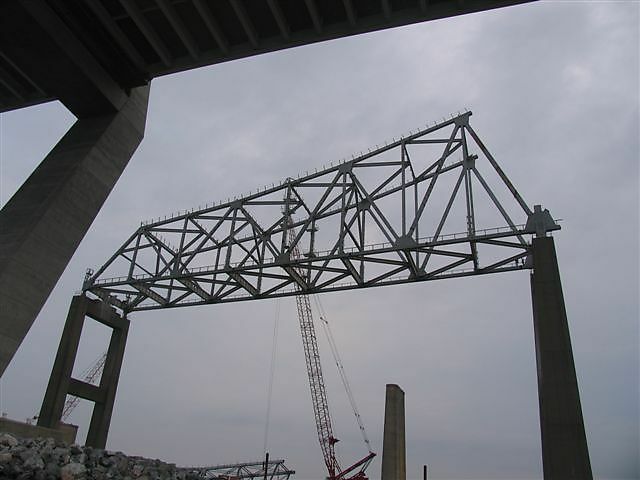 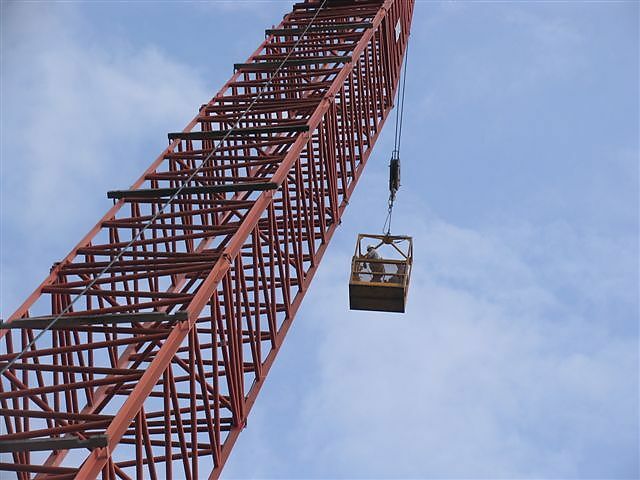 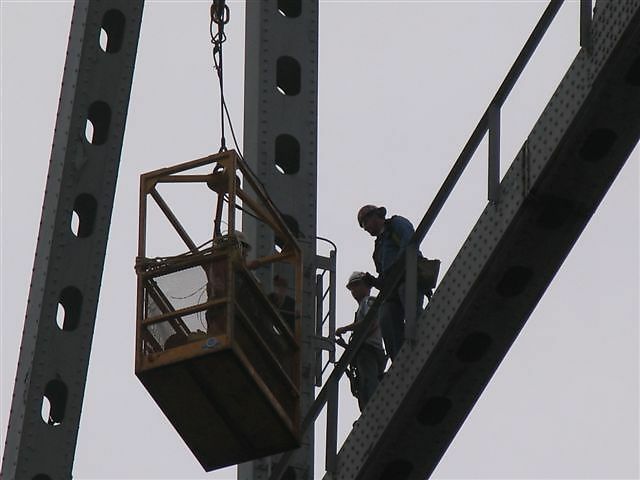 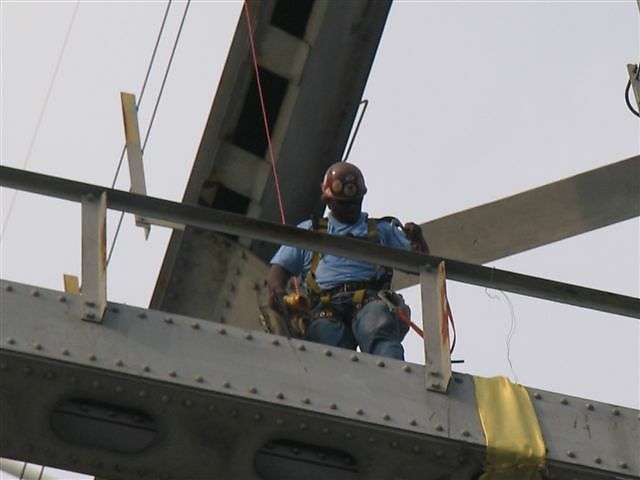 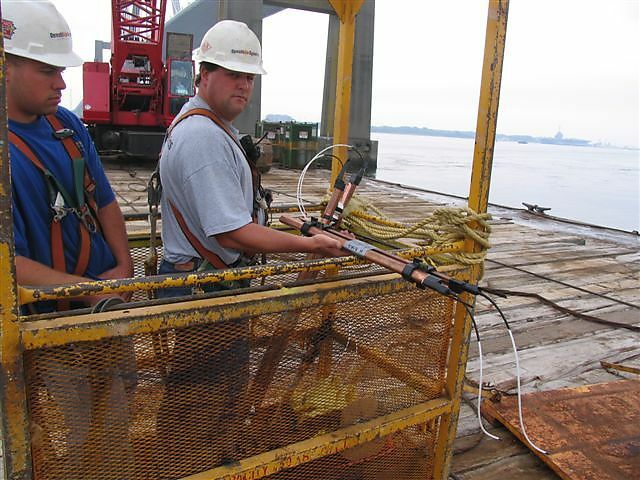 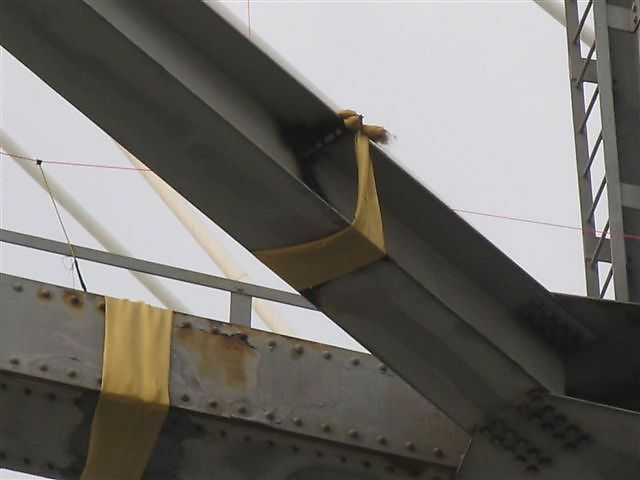 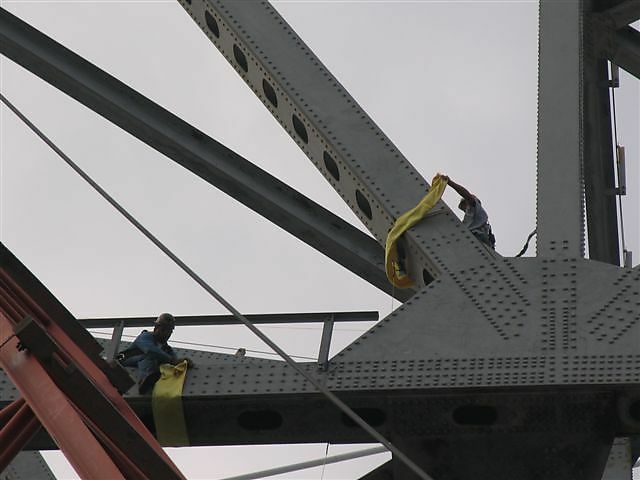 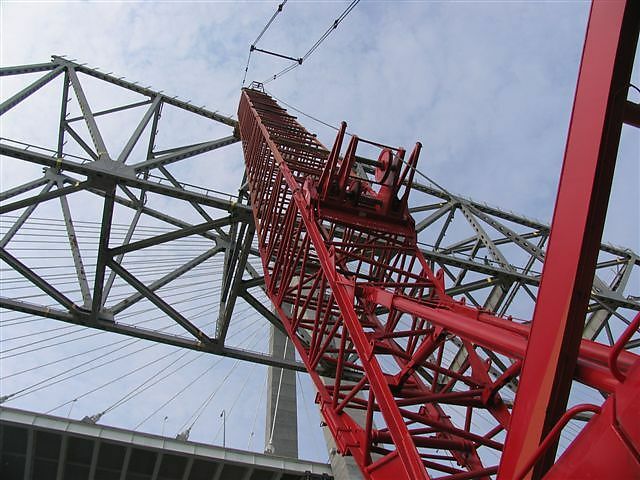 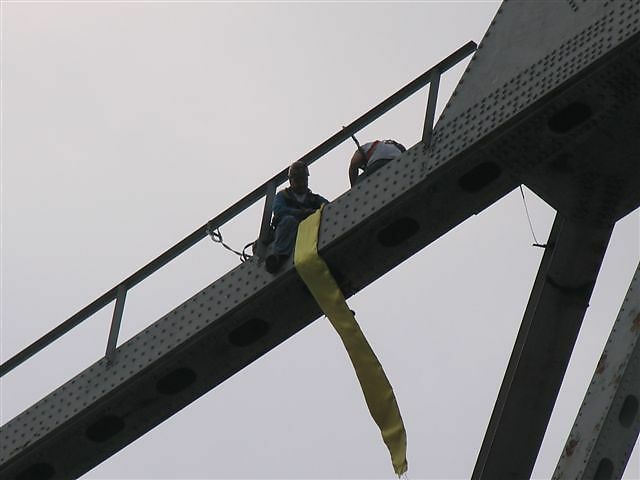 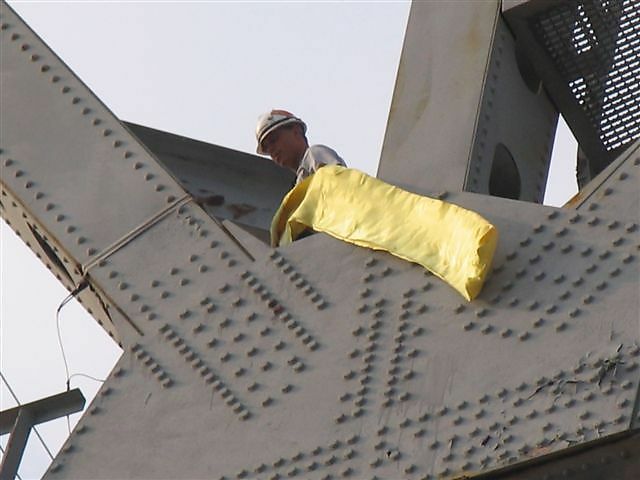 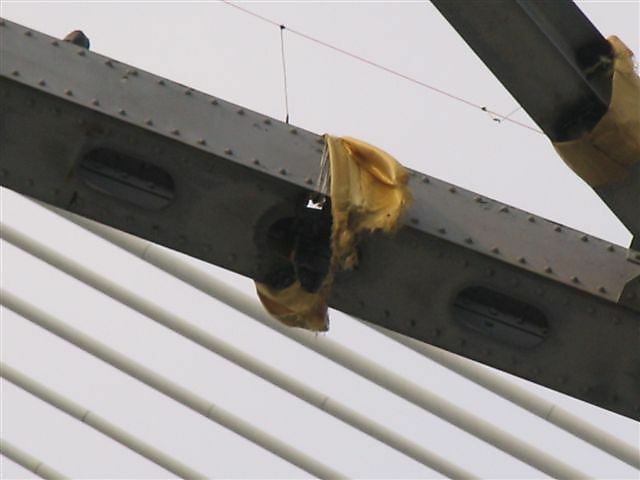 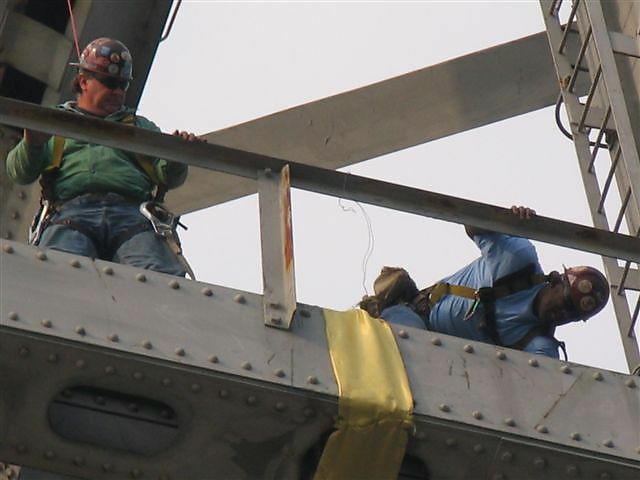 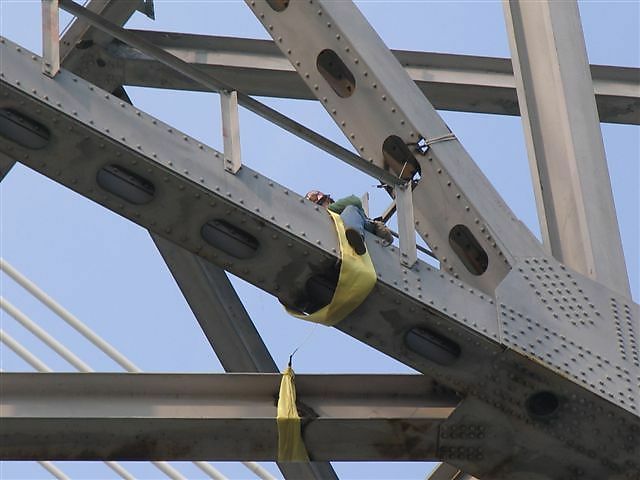 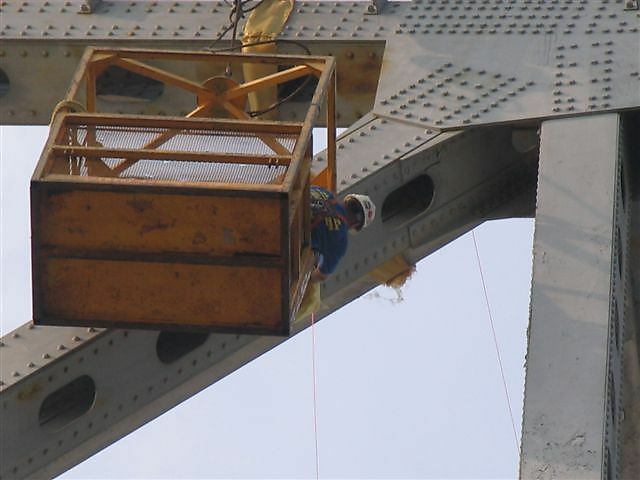 To the left is a piece of kevlar being wrapped around the girder. 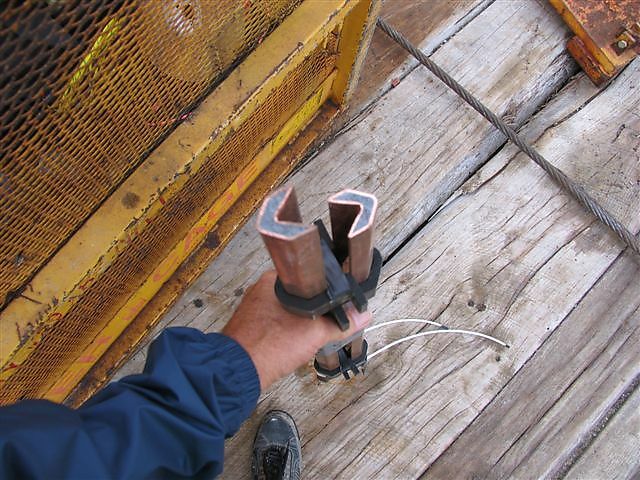 Note the ignition line above the charge with splices leading to each charge.